I would have posted this yesterday, as it was new comic book day, but I was still overwhelmed by democracy. The reason I thought of this was because of a student in one of my classes. He’s a quiet kid, something of a Socially Awkward Penguin, but he and I have been talking about books for the last few months. I let him my Japanese copies of the Hitchhiker’s series, and found out he’s also been reading Connie Willis. We talked on the bus about books, and it was great – he’s a quiet, 15 year-old bookworm. My kind of people. Today he asked if I knew who Deadpool was, and my heart grew three sizes right there and then. 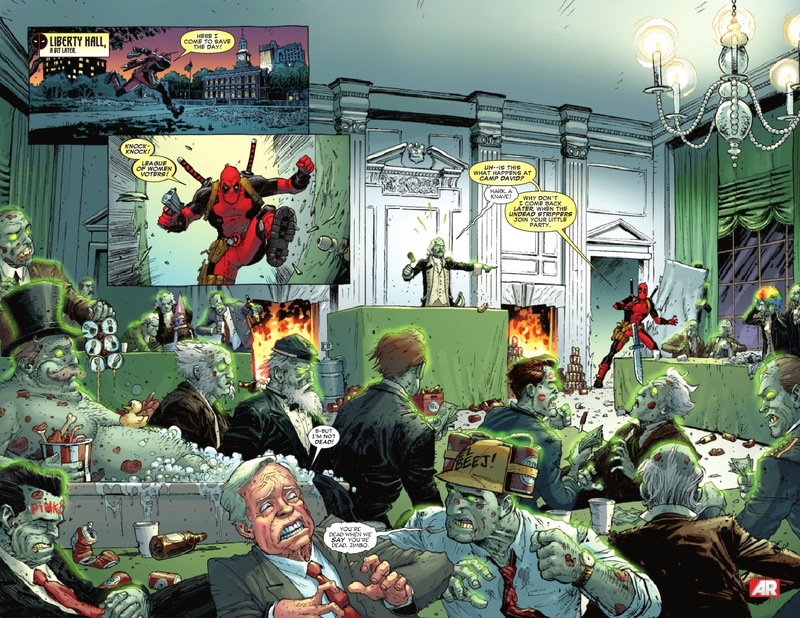 Deadpool versus zombie Presidents. This is perfectly normal. For those of you not familiar with the Merc with the Mouth, Deadpool is Marvel Comics’ most popular comic relief character. If by “comic relief” you mean “clinically insane” and “irredeemably violent.” He kills people for a living and cracks jokes about it. He has amazing healing powers and simply cannot be killed. In several cases, he’s managed the kill off every single superhero in the Marvel Universe. Repeatedly. For people who like wanton violence tinged with humor, Deadpool is your guy. The fact that he knows he’s a comic book character just makes it all the better. Deadpool isn’t one of my favorite characters, though. I’ve talked before about my fondness for Green Lantern, for example, and I will always have a special place in my heart for the Legion of Super-Heroes. I prefer Superman to Batman, though neither one would really be complete without the other, and Firestorm has always been an underrated gem, in my opinion. But there have always been good characters in books and movies, and good stories as well. What is it about comic books that keep me coming back? I could just refer you to Scott McCloud’s seminal work on the subject, Understanding Comics. He’s an expert on not only the history and evolution of comic books, but also the way they work as a medium, a cross between art and words which, when combined, become more than both. If you like comics, I highly recommend you give this book a read. If you’ve always wondered what the big deal is, then it’ll help clue you in. I’m not quite that academic about them, though. I suppose I like comics because they provide me with something my everyday working world does not – wonder. Also, practical lessons about not taking things that don’t belong to you. Don’t get me wrong, you can find wonder if you look for it. It’s not all that hard to stumble across, but you need to know where to look. You might need a bit of special training or extra work, or a guide to show you the way. 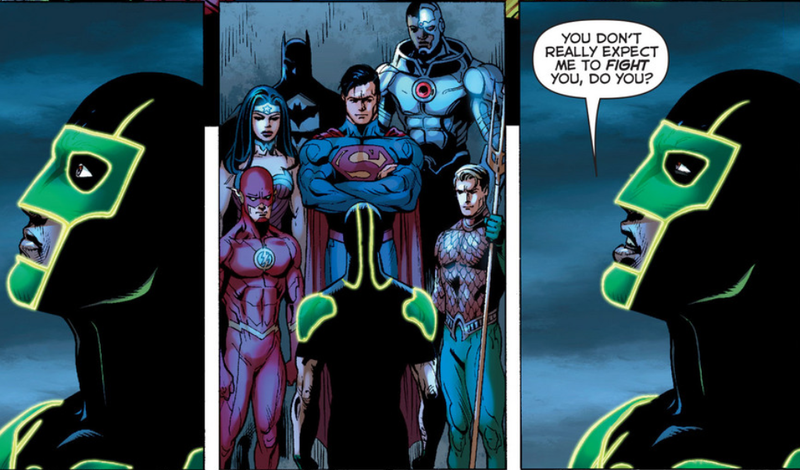 Comics – especially superhero comics – deliver it all right to you. Epic battles, staggering losses, heartwrenching moments of tragedy and unbelievable moments of victory. They’re all there, for just a few dollars. The superheroes and the villains they fight are us, writ large. Their powers are so much greater, their responsibilities are so much more important. 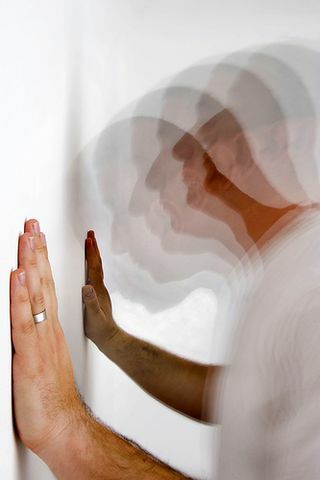 We can look to them as examples of how to deal with our own petty adversities and inconveniences, knowing that the while the fate of the world may never be in our hands, our own fates often are. We cannot be Superman, but we can learn from him. Not all comics are about superheroes, of course. In the non-capes-and-spandex section of the comic book field, there are still great tales of human experience to be told, and they are given to us by many great and talented artists and writers. By combining pictures and words, these creators are able to work wonders with our brains, bringing us along on imaginative journeys that could not be undertaken by words or pictures by themselves. I’ve spent a lot of time and money on comic books over the years. Some of it has been wasted, sure, but so has some of the money I’ve spent on books and movies. Some of my favorite stories of all time come from comics. Some of the characters I look up to have come from comics. Some of my favorite artists and writers draw and write for comics. They have made my life richer and more interesting, and if that’s not something to be thankful for, well, then I don’t know what is. 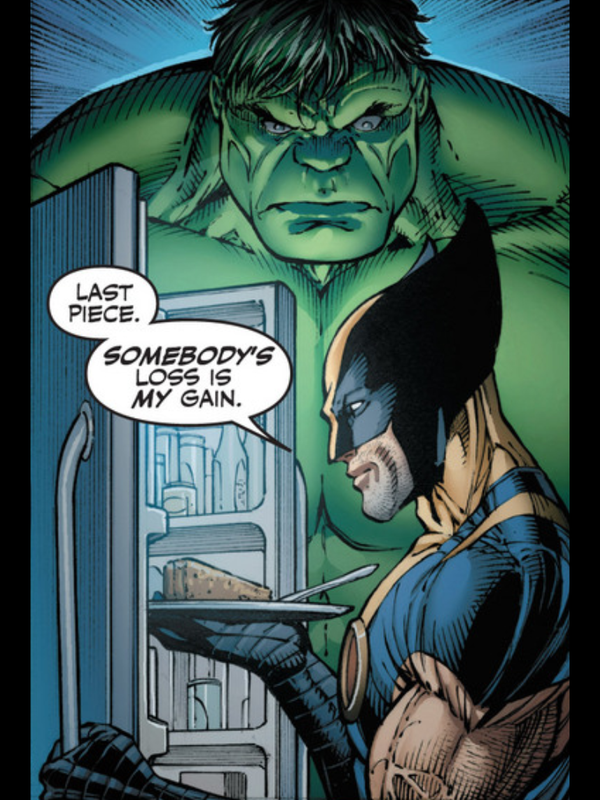 An often overlooked lesson in comics – use your damned common sense. It’s very important that I write something. Over the winter break, I picked up a bunch of games off Steam – Batman: Arkham Asylum, L.A. Noire, Grand Theft Auto IV, Bastion, The Binding of Isaac – they call to me. They want to help me eat up vast amounts of time without really realizing it. They want to sap away my precious intellectual juices in a haze of car crashes and Batarangs. 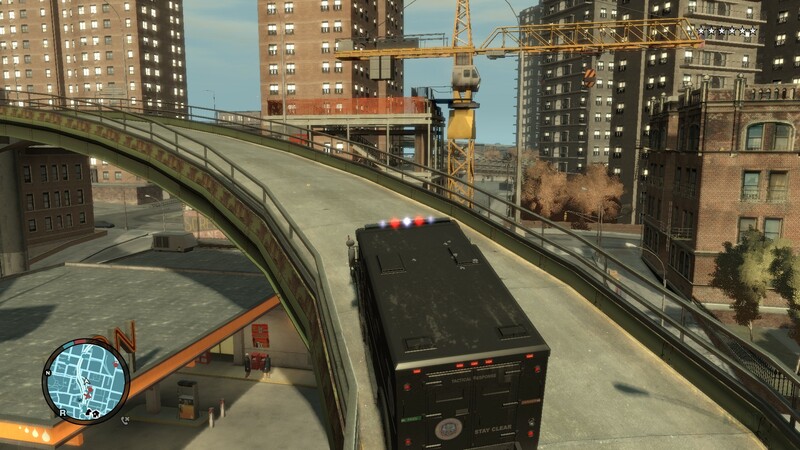 On the other hand, I stole a SWAT truck! As much fun as that sounds, I do have work to do. Not school work, though that wouldn’t be a bad idea. I have my own work to do – writing. Last year, I got really lazy with writing book reviews, which isn’t really a sound strategy when you’re the sole writer for an internationally-known book review podcast. With every week that I do the show, my backlist of reviews diminishes by one, and sooner or later I’ll be at a point where I have to actually write one review a week just to catch up. That’ll be the point where I’ll have to either end the podcast or put it on a hiatus, because there’s no way I can pull that off for very long. So, one of my resolutions for this year is to get back in the saddle of review-writing, and make sure I always have plenty of reviews to choose from each week. As of this writing, I have a backlist of 48 reviews. That’s great. Unfortunately, half of them are either Wheel of Time reviews or Discworld. So I need to get moving on this and try to put some variety back in the stacks. I have a lot of old, pre-podcast reviews that I can beef up, but a lot of those are for books I no longer own. That means doing a bit of research to remember what they were about, to say nothing of cursing out Past Chris for not writing more thoroughly. The other work I have to do, of course, is writing fiction. I’m still plugging along on my fic-a-day work, and have decided that in January I will use only all-new characters. That’s not as hard as it sounds, but after seven months it does seem to take a little more energy every day just to get started on writing. I know I have to do it, but I find other things to do, and that’s never a good sign. It also brings me to the title of this post. His Ultra-Smooth is always on, though. Another difference between him and me. In case you’re not familiar with him, Ultra Boy is a member of the Legion of Super-Heroes, a group that battles interstellar menaces in the far future of the DC Universe. Ultra Boy is a character with pretty run-of-the-mill powers – super-speed, invulnerability, great strength, and so on – but with one rather strange caveat: he can only use one of his powers at a time. The idea is that his body is full of some kind of “ultra-energy” that can allow him to do amazing things, but he has to consciously will it to do what he wants. And there’s not really enough of it to go around. So, he can be really fast, but not inhumanly strong, or he can be super-strong and yet vulnerable to an enemy’s weapons. 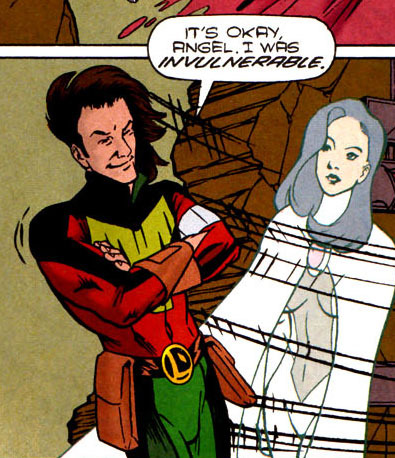 It’s an interesting twist, and part of what makes him more than just Superboy with some stubble. Now while I cannot, as of this writing, fly or shoot lasers out of my eyes, I do feel a kind of kinship with Ultra Boy. I have creative energy that I can do pretty good things with. I’m not superheroic or anything, but I’m certainly not bad. The trouble is that I can only use it for one creative outlet at a time. So if I’m writing, it means that I’m not drawing or doing photography. If I start getting more caught up in photography, then the writing will stop. If I feel the drawing itch kick in, then that’ll be it for the photography, and so on. I hear Fitzgerald did this all the time. The thing is, I don’t really have a lot of control over when my creative outlet is going to switch from one thing to another, or if it’ll just stop altogether – which has happened before. So when I get to a point like where I am today, where I just want to switch off my brain and hijack cars all night, I start to worry that this is the first sign of The Switch. I really want to continue with writing, and I have no plans to stop doing the podcast. But perhaps my subconscious has other things in mind for me. The obvious solution, of course, is to soldier on. To write something, even if it’s half-assed and half-hearted, just so I can say, “Well, I did it.” But at the same time, I don’t want it to become a chore. I don’t want it to become just one more damn thing I have to do every day. I’m not making money off the podcast or the fiction, so the main reason I do it, really, is for my own enjoyment. And if I don’t enjoy it, then what’s the point? Anyway, all that is neither here nor there. I’ll keep on keeping on, and monitoring myself to see what’s keeping me on track and what’s trying to nudge me off it. Self-knowledge is a good thing, if a little tricky at times. There are people in other countries who listen to it. So I’m just being accurate.